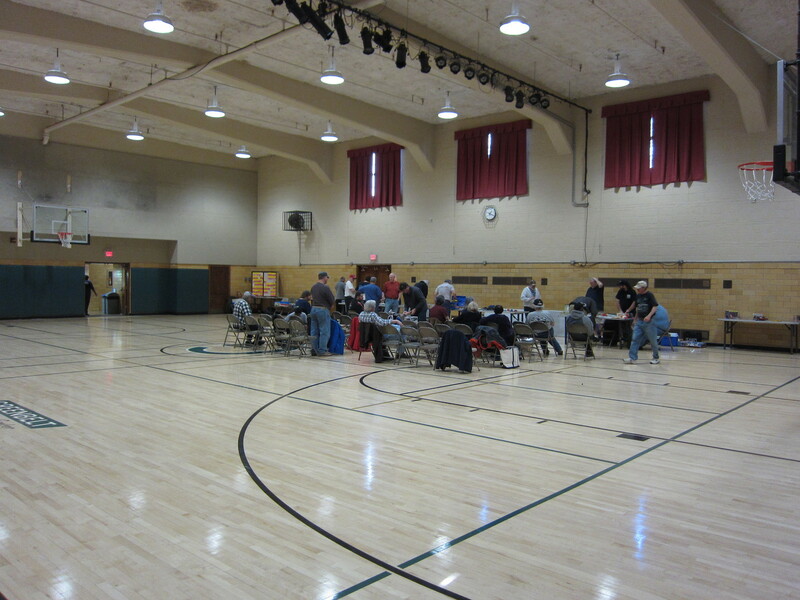 We will be back in the multi-purpose room for our April meeting at the Greenbelt Community Center. See you there! 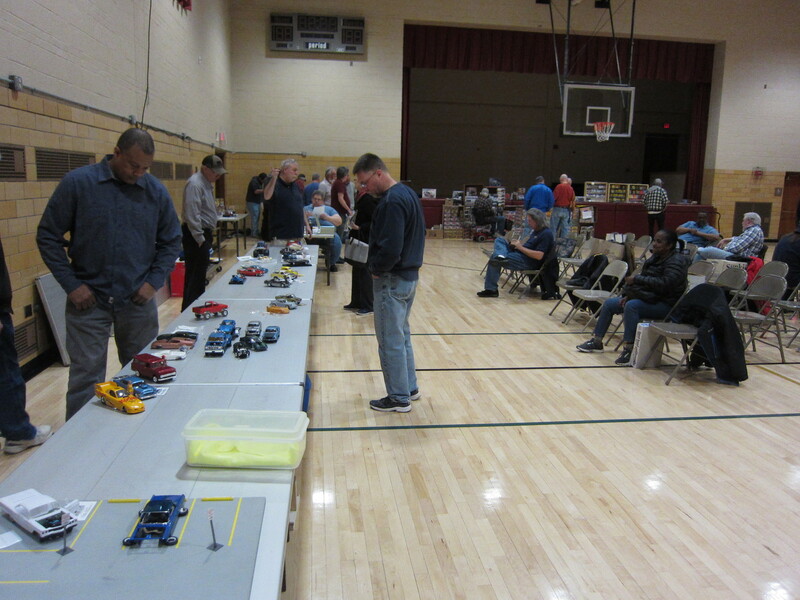 to MAMA's Diner, the official home of the Maryland Automotive Modelers' Association (MAMA), where we serve entrees of fun, friendship, and model cars. 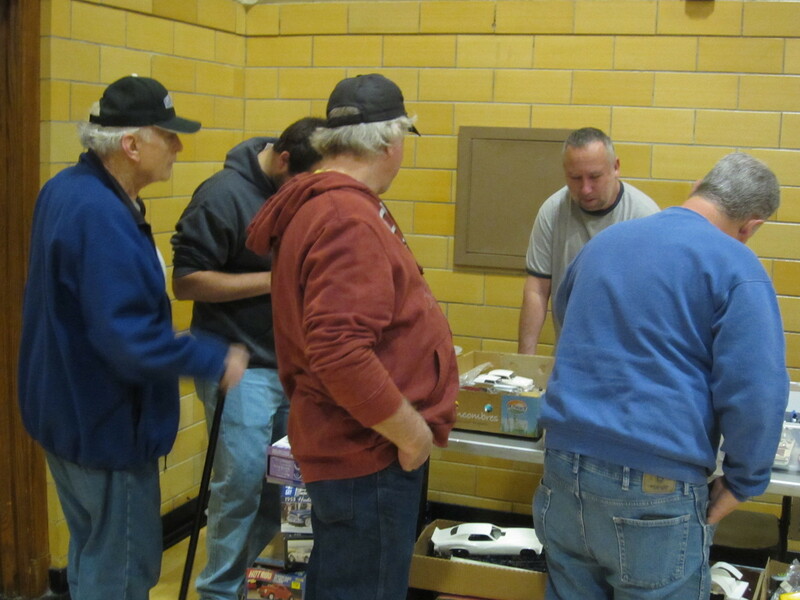 Special Note #1: Aftermarket Companies and Rare/Old Kit Sellers! MAMA wants you at our show! 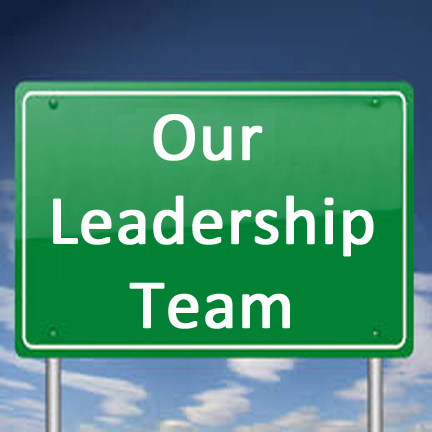 We are calling out to potential vendors for our upcoming Mid-Atlantic NNL! We have begun sending out packages to those who've vended at our show before, and we have a few tables still availble. 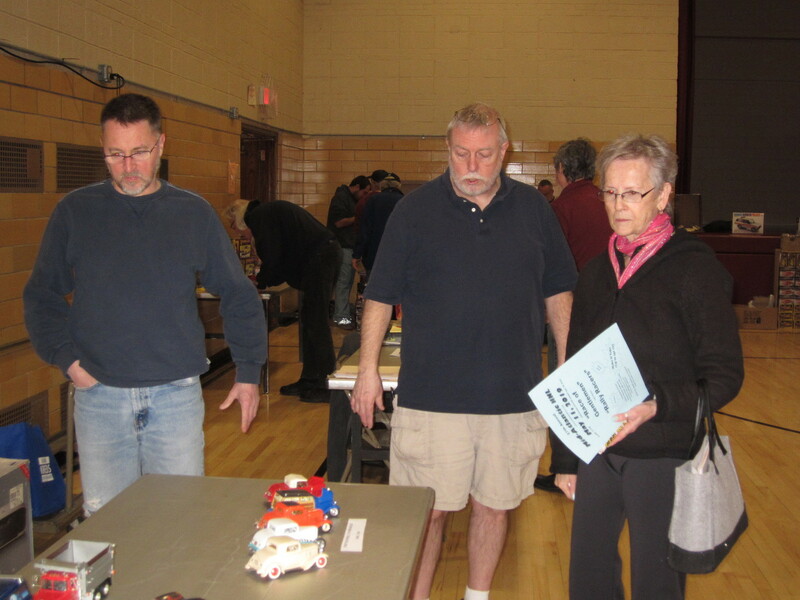 If you would like to vend at our show in May, send an email to our Vice President, Dave Toups, for table reservation information. This is your opportunity to mingle with your customers in person and learn what they want to see from you in the future. 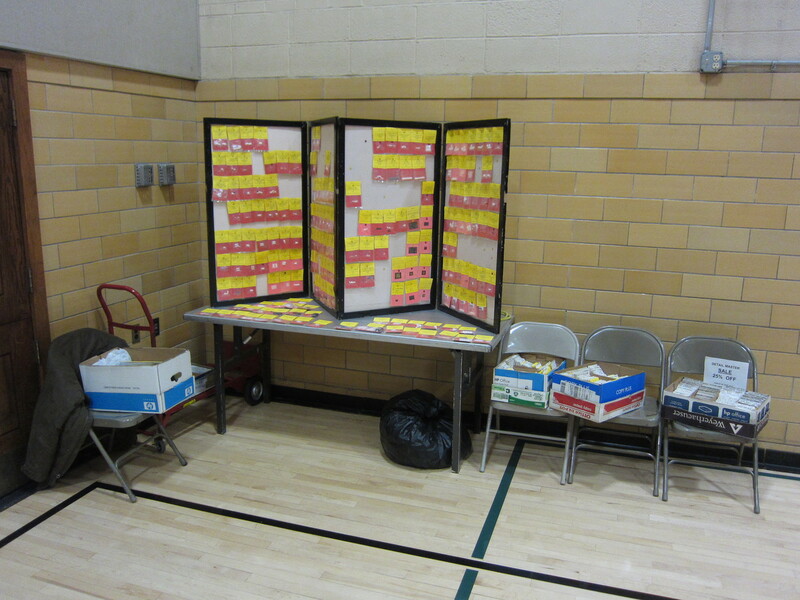 Special Note #2: Calling all sponsors! 1. Trophy Sponsors: If you would like to sponsor one or more of the awards at our upcoming Mid-Atlantic NNL email to our club treasurer, Matt Guilfoyle, for category availability. Sponsorships for large awards will be $60, small awards will be $50. 2. 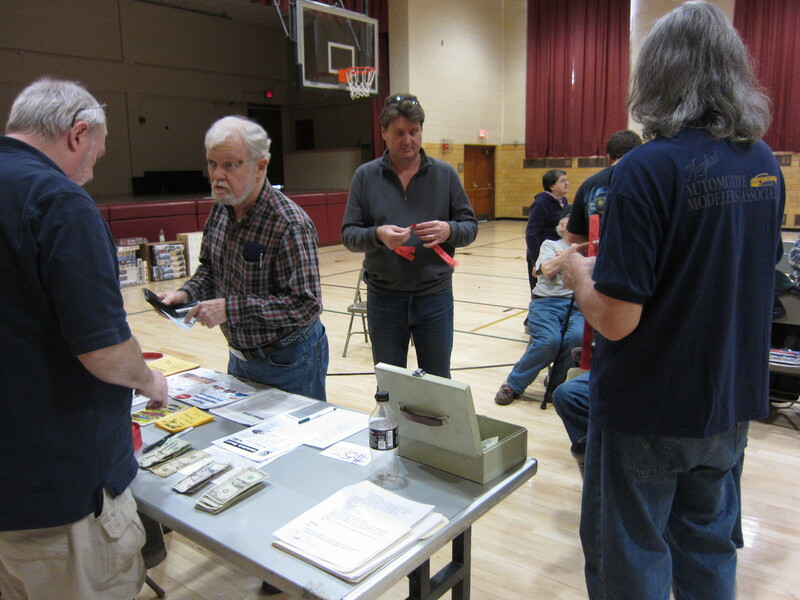 Raffle/Door Prize Sponsors: If you would like to donate product samples, promotional materials, etc, this is an opportunity for potential new customers to learn of your products, see them in person, and understand the quality you bring to the hobby market. 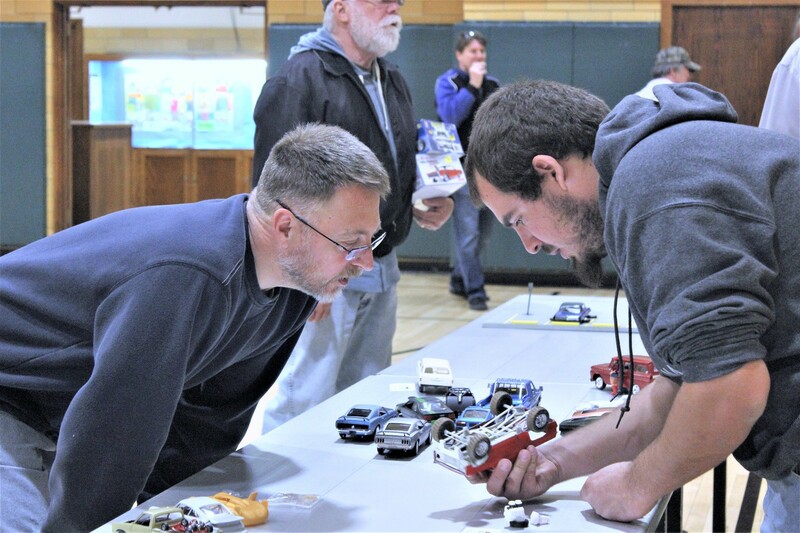 To put your company's name and products directly in front of our participants and help us defray the ever-rising costs of conducting a regional model car event, send an email to our President, Tim Powers for details. 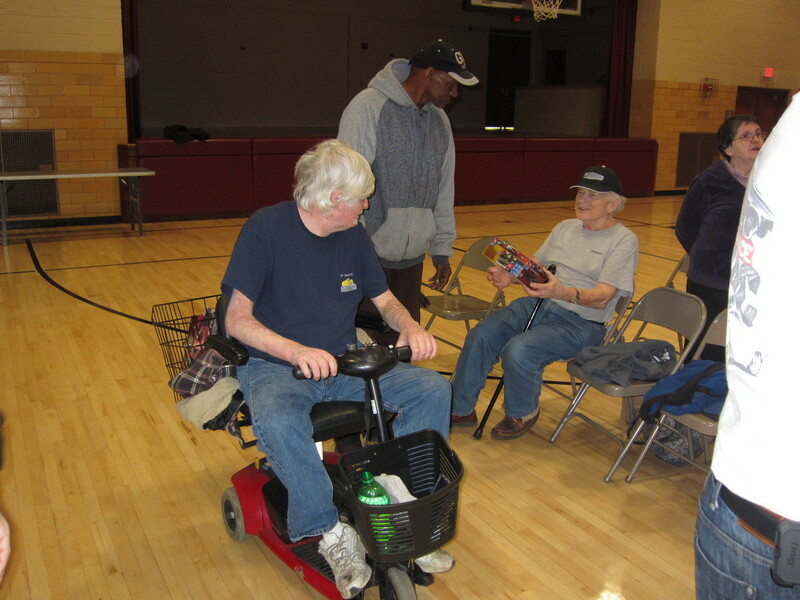 Our March meeting was held in the Greenbelt Community Center's Gymnasium. Talk about a roomy venue! I'm not sure what naughty behaviour Norman exhibited, but he wound up relegated to the far corner. 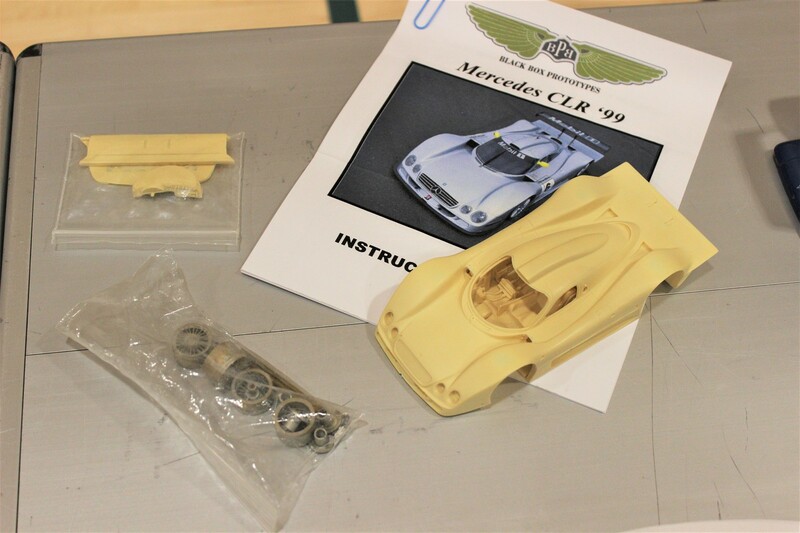 For many of us model car builders, getting one of our models published in a magazine is a far greater reward than winning a trophy. 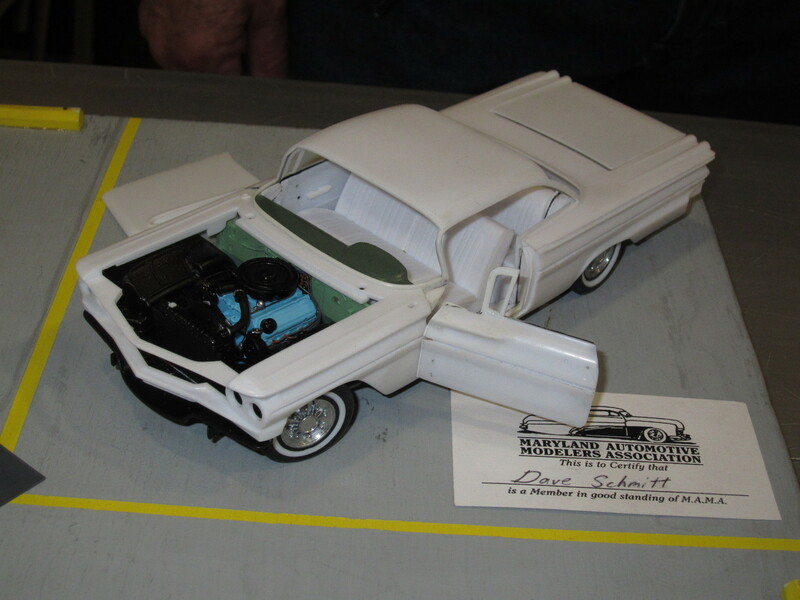 Dave Hebler's Chevy Sedan Delivery appeared in coverage of the 2018 Philly NNL in the latest edition of Scale Auto Magazine's Contest Annual. This is the best part of any MAMA meeting: sharing thoughts, ideas, techniques, and knowledge. 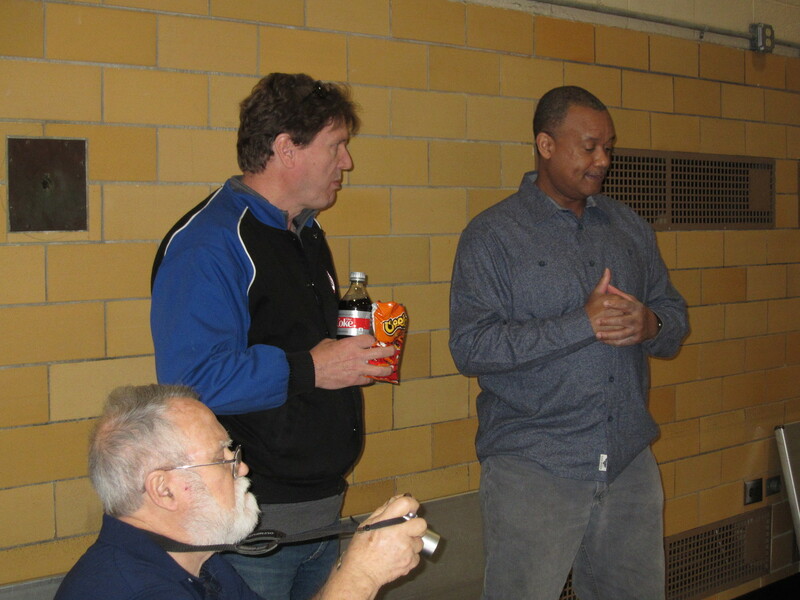 This is especially good when the sharing spans generations. 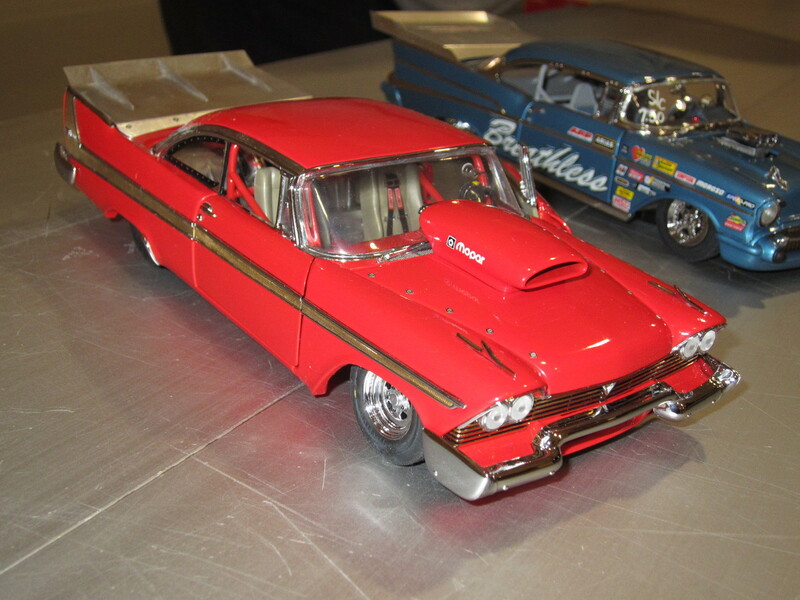 Dave Redzensky displayed these 1/43 scale diecasts by Eagle Collectibles. 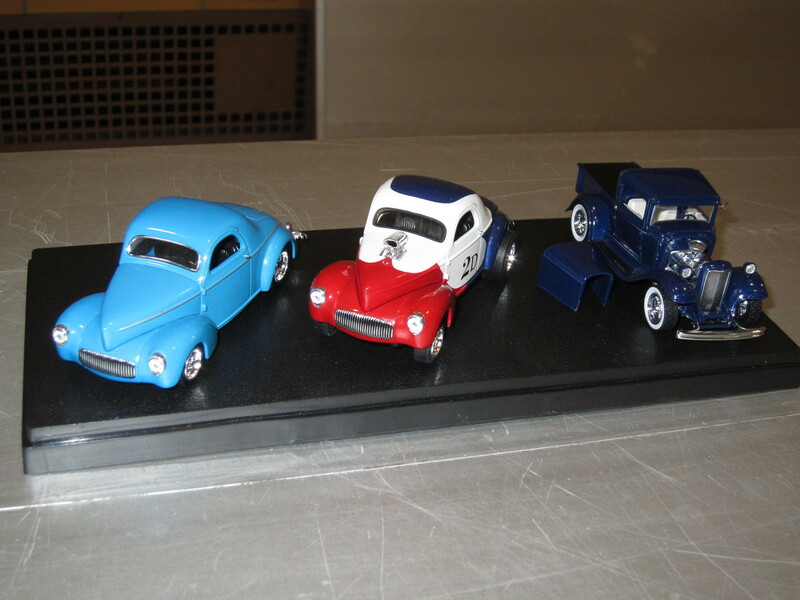 Lyle Willits displayed the first five Revell 1932 Ford models that he built in the 1996-97 time frame. 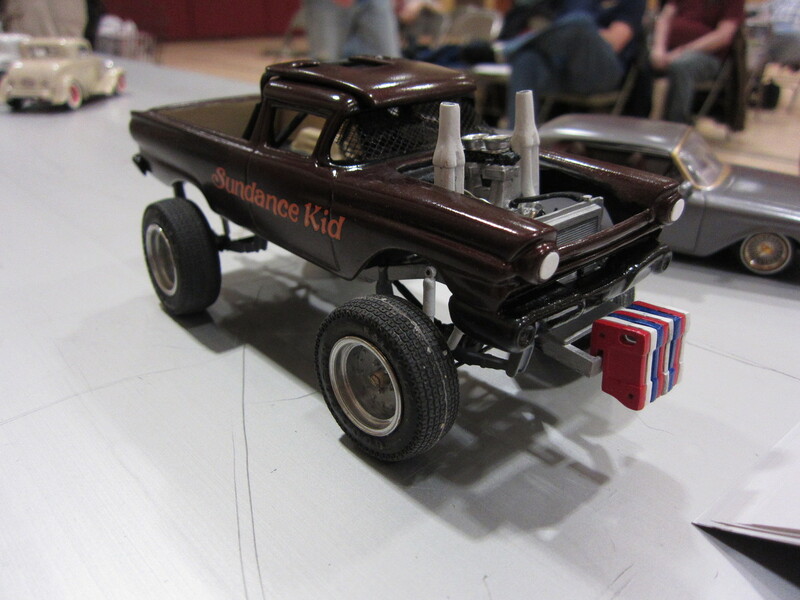 Look for a piece on this mini truck in the next club newsletter as it was the VP's Pick of the meeting. JC Reckner put a lot more work into it than most people realized. Brad's latest acquisition. Can't wait to see this one finished and on the display table. 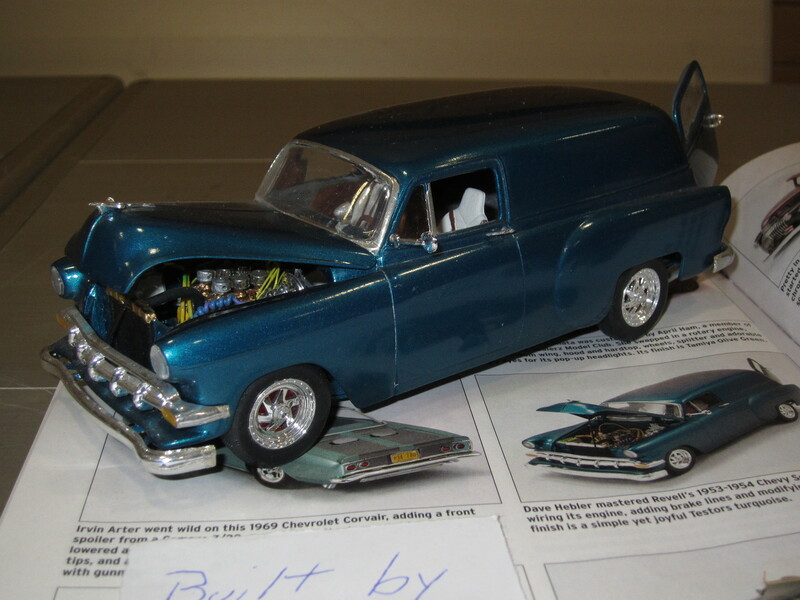 Someone showed off this very shiny pair of Danbury Mint Pro-Streeters. 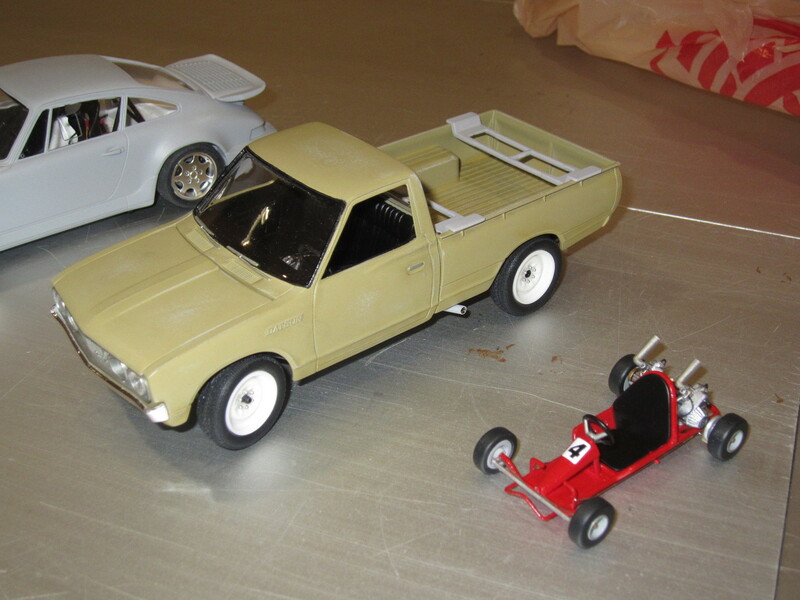 Here are some hot race cars from Danny Whiting. 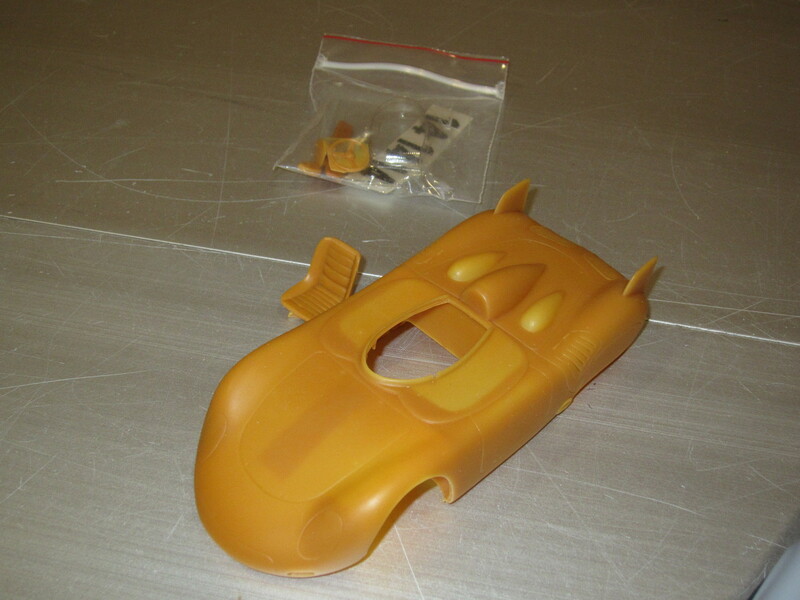 JC showed off the 1959 Porsche 718 RSK F2 center-seater kit from Dragon models. 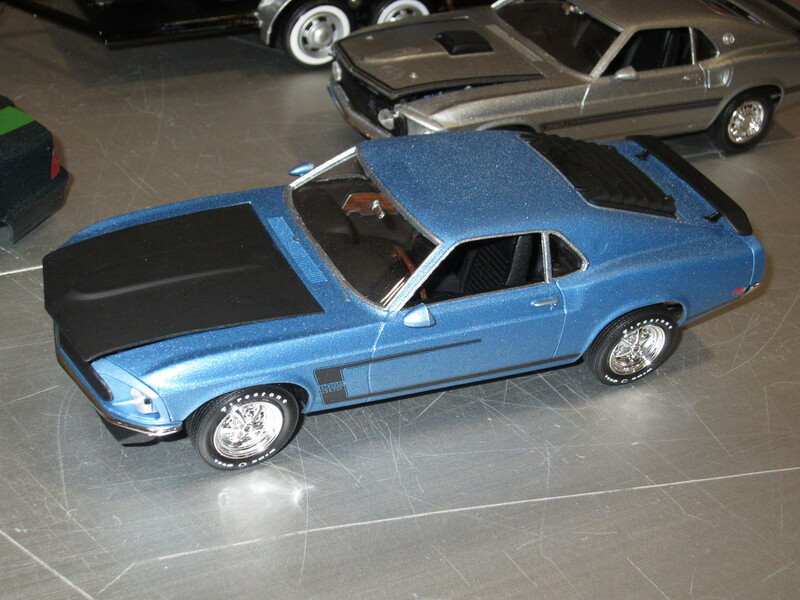 Phil Lee showed these Mustangs along with a Ford duallie pickup, car trailer, a Datsun, and a Pro-Street Beretta. 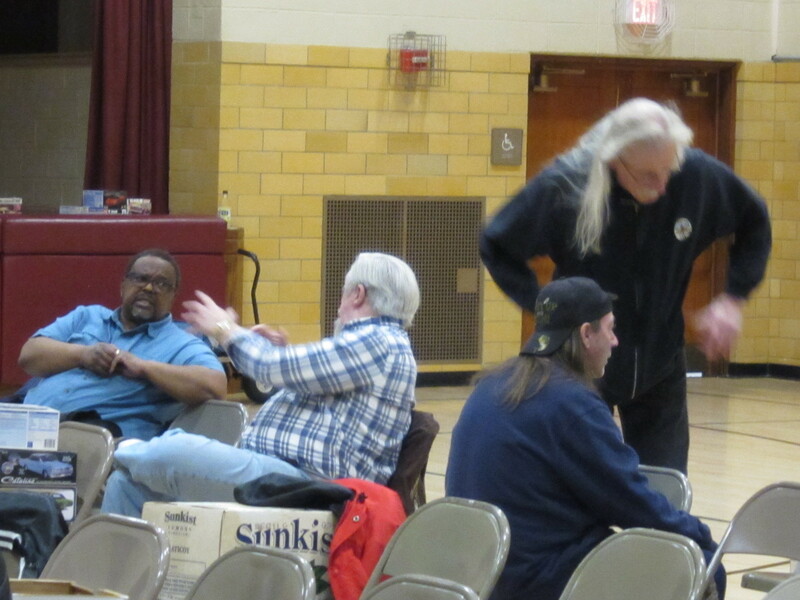 People really do have a good time at our meetings. Not sure what got these guys to laughing so hard, but we're pretty sure that no chemical substances were abused in the making of this photo. Rich Wilson showed his right-hand drive Toyota 2000 GT Roadster from the 1967 James Bond movie, "You Only Live Twice." 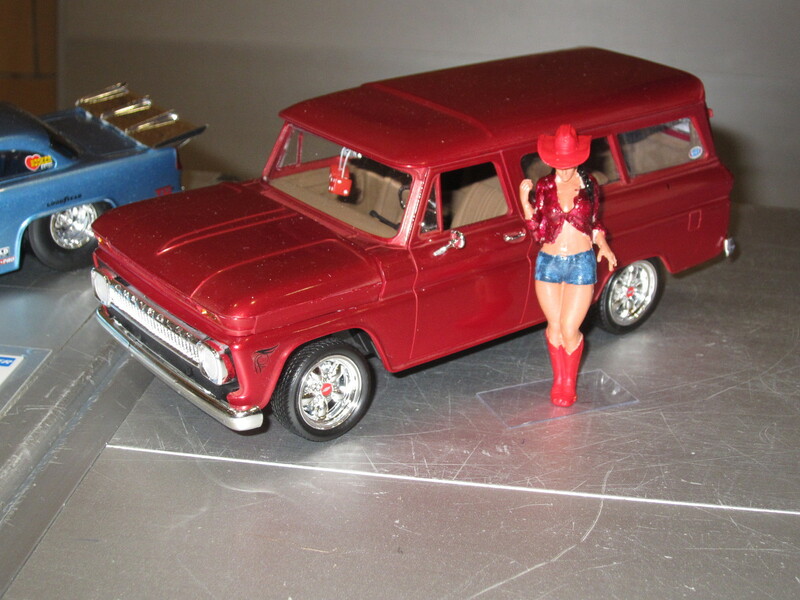 Steve Buter displayed his El Camino and some "Painted Ladies". 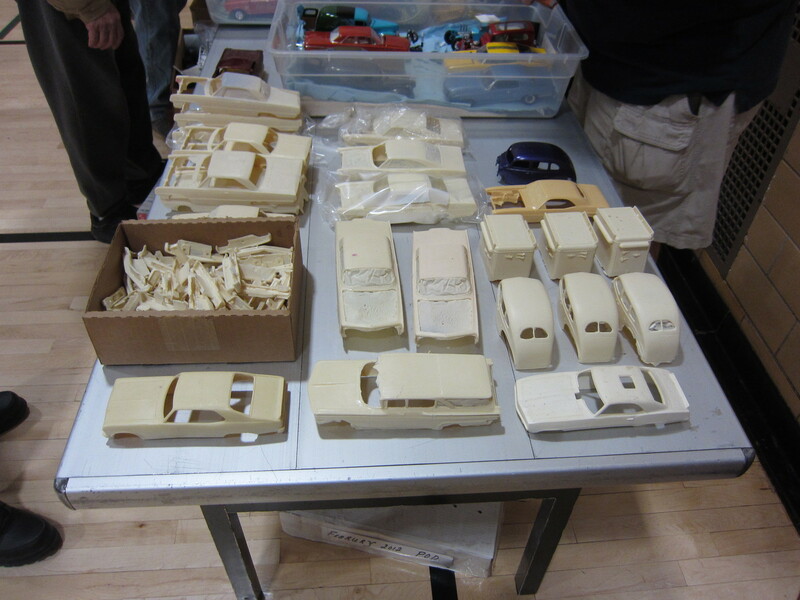 Rich Meany had a lot of resin bodies and parts for sale. Sometimes what people use to carry their models is as interesting as the models themselves. 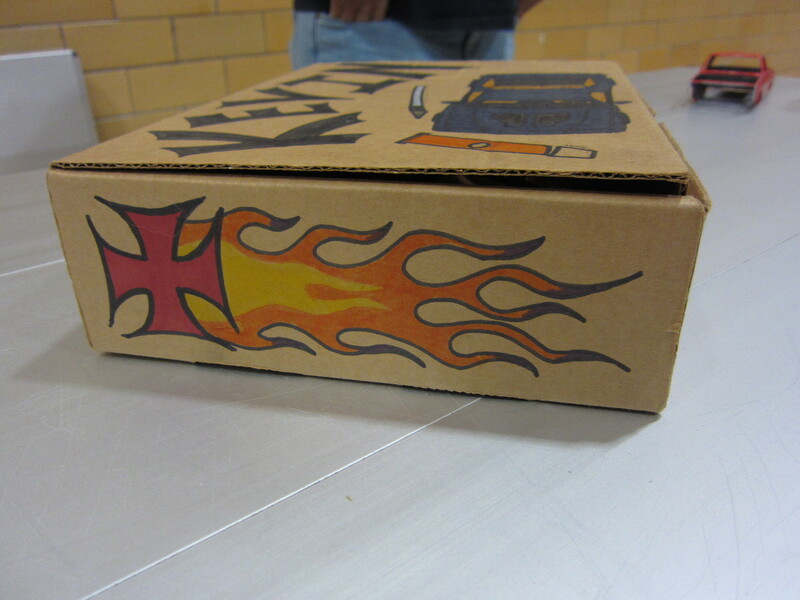 Here's Kevin Kovach's model transport box. 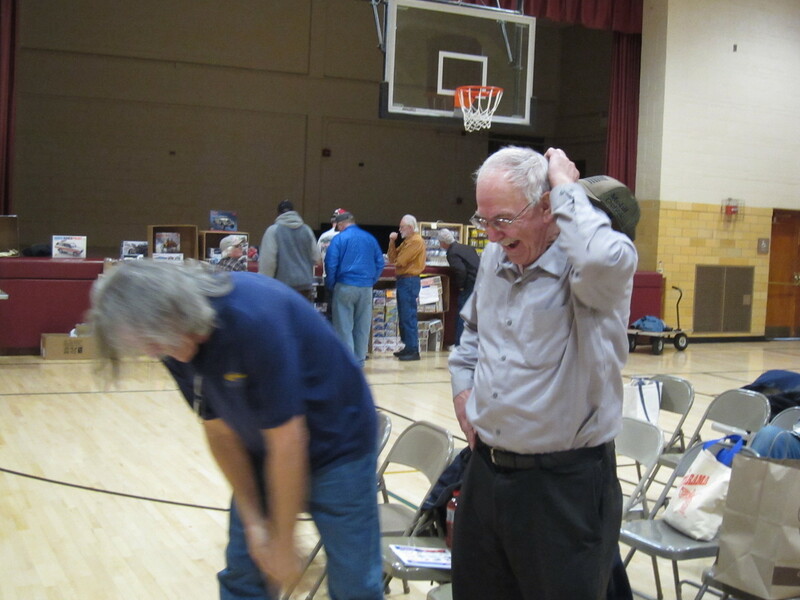 Looks like Steve was launching into the chicken dance. 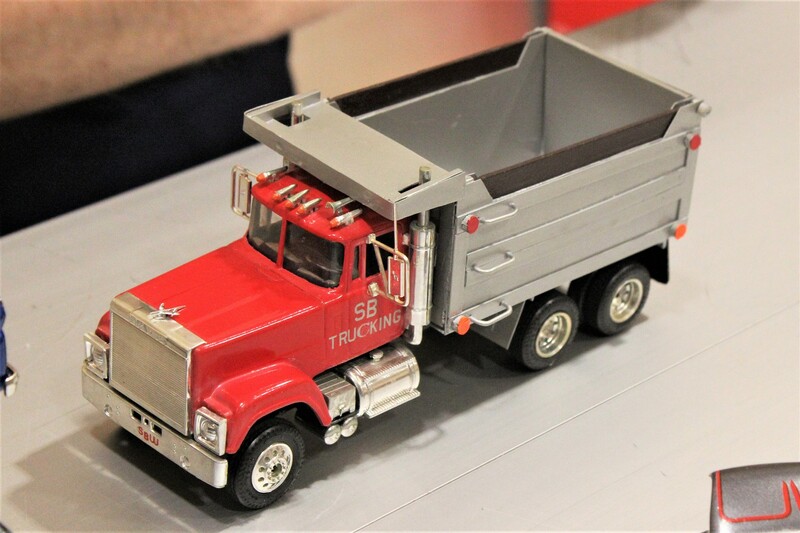 Whomever displayed this 1/32 scale hauler did a nice, clean job. 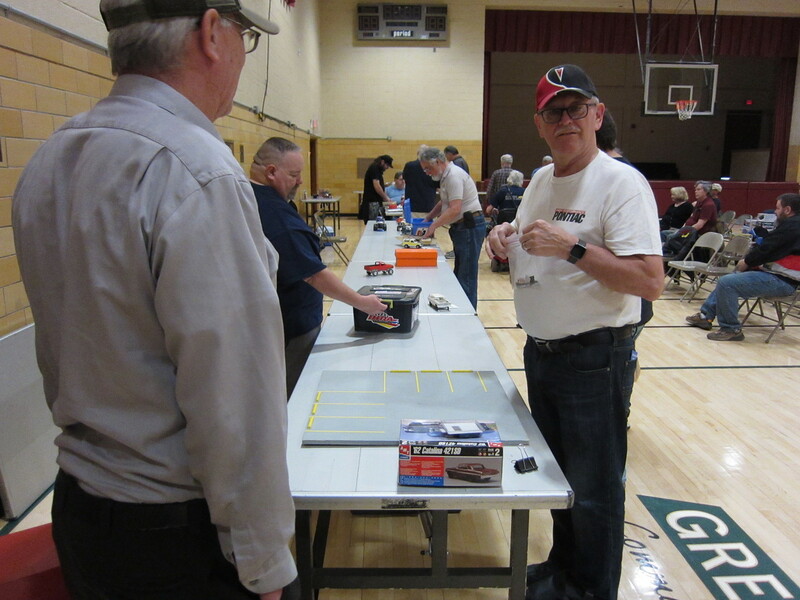 As always, there was the non-stop talking about model cars. Dave Schmitt's project is progressing at a rapid pace. Matt wins honors for being the first member to wear shorts to a meeting this year. This one looks ready for the sippy hole. 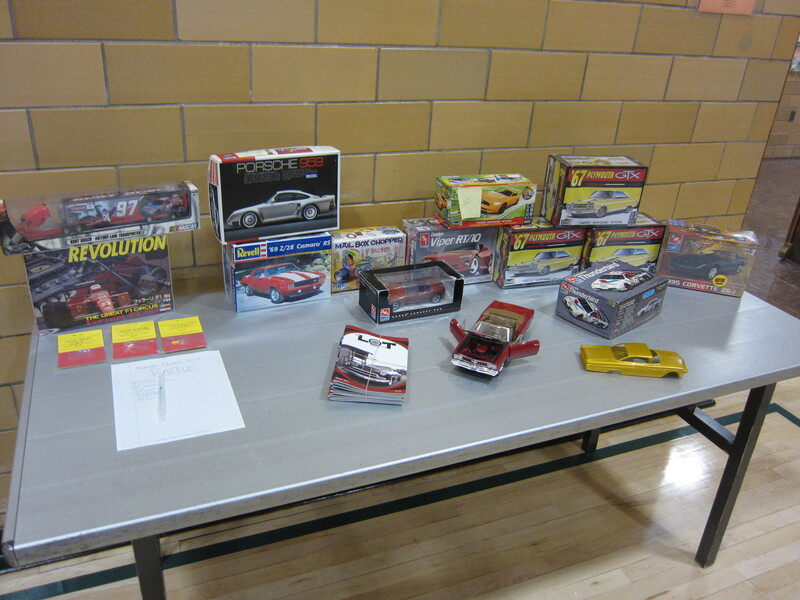 The raffle table was well stocked with desirable prizes. 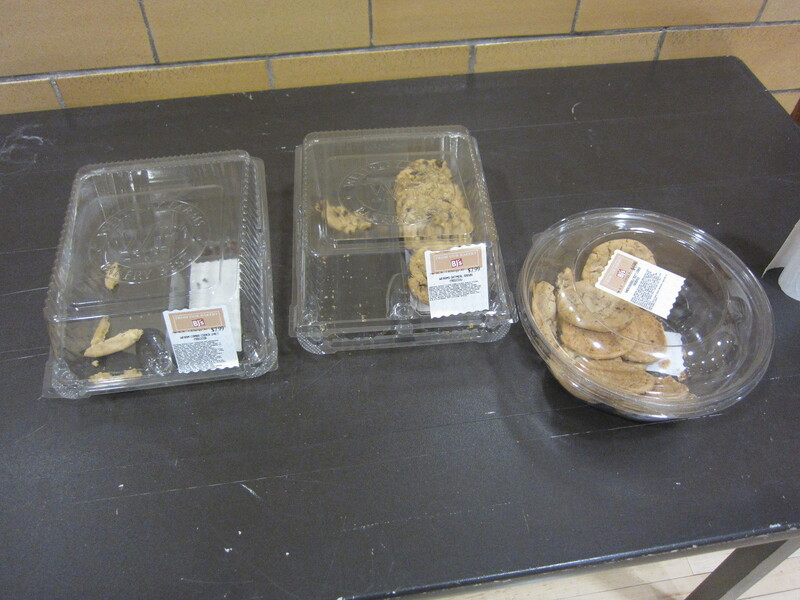 The cookies didn't stand a chance with the group we had this month.